1.At the top of the Stationery pane click the Stationery layout button and set-up the dimensions and layout of your stationery. •Click on the button at the top left of the pane and optionally set the Fold, Border thickness and Border colour options. 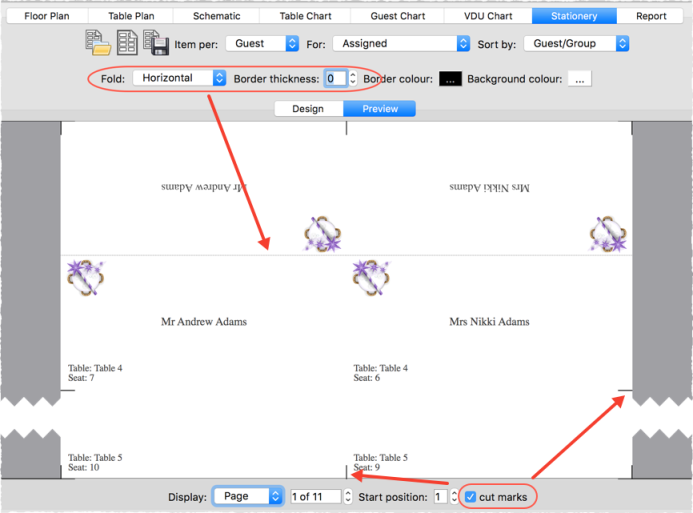 •Click on the Preview tab and optionally check the cut marks check box. 4.Once you are happy with your design select File> Print.